The Guardian spoke with A.S. Vice President of External Affairs Refilwe Gqajela about her experiences as a student leader and what she hopes to see in the university’s future. As the afternoon lulls to an end, I give Refilwe Gqajela a call from my apartment. Soon, I discover that while she is a casually articulate, passionate talker, her voice holds a hint of weariness. This sense of burnout is a familiar feeling for college students — and it’s one of the reasons commonly cited for the recent string of A.S. Council resignations. Gqajela noted, however, that the resignations were the result of each individual’s unique circumstances. “Folks left for a wide array of reasons. It was like a burnout here, a new engagement there. There wasn’t some unspoken phenomenon,” she explained. Though she’s maintained her position with A.S. Council this year, Gqajela can empathize with those who resigned. As one of the students who has maintained her position, Gqajela has spent the past year working with A.S. Council to support and improve the UC San Diego community. Her responsibilities revolve around understanding UCSD’s placement in its local, state, and national contexts. In managing these external affairs, Gqajela works with communities outside of UCSD, including other schools in the University of California system and local legislators. “I manage all that has to do with organizing and advocacy beyond going to class and that identity of being a student. Particularly within the UC system, there’s a lot of work with the other UCs external offices,” she stated. In regard to fostering relationships across the UC system, Gqajela also serves as the chair of the University of California Student Association, which is a coalition of students from all the UC campuses advocating for system-wide improvements. Holding positions with both A.S. Council and UCSA gives Gqajela a unique perspective as a leader. 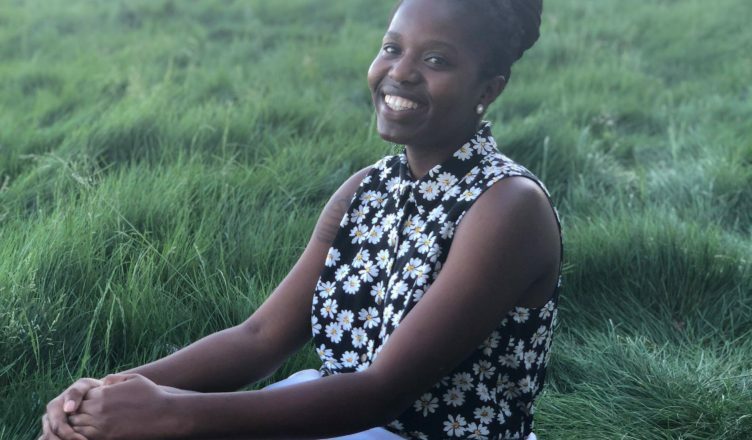 Drawing on her connection to the broader UC system, Gqajela has been successful in meeting the goals she set for herself last year when running for office. This agenda included, among a number of things, advocating for increased outreach from student resources and improved sanctuary policies. “In terms of pushing the agenda I set forth to push, I think I was extremely successful,” she reflected. One example of Gqajela’s achievements is her work with the UCSD Police Accountability Board. During Fall Quarter, she investigated U.S. Immigration and Customs Enforcement’s presence on campus, first bringing her questions to UCSD’s police chief. This led her to different parts of campus, including the International Students and Program Office, where she was able to foster transparency regarding the university’s immigration policies. “I think I definitely contributed to conversations around how we can strategize around measurements for improvement. I think I was able to support creating an agenda and determining where to invest our momentum as student advocates,” she concluded. When it comes to making changes like these, Gqajela derives her authority and ability from conversation. After a year of tirelessly working with A.S. Council, it’s hard for Gqajela to pinpoint just one thing that she’s gained from her position. She’s encountered a wide array of knowledge and experiences, from Chancellor Khosla’s astrological sign (Pisces) to how to navigate the UC system’s bureaucracy. “I’ve been involved with UCSD for about three years now, and I really understood campus politics to an extent, but now I’ve learned a lot more about the UC [campus’] internal structure systemwide. It feels really great, at both the campus level and systemwide, to be tuned into what’s going on politically. Sometimes I have to step back and realize that’s a big [a–] deal,” she remarked, laughing. And it is a big deal. Involvement with A.S. Council gives students a pathway into the very real political world of the UC system, a world that the majority of students can feel disconnected from. Despite all she’s helped to achieve as vice president of external affairs, there’s only so much A.S. Council can do in a year. One project Gqajela’s been involved with that will likely spill into next year is increasing outreach and support for student parents. Earlier this year, UCLA’s organization, Mothers of Color in Academia, brought awareness of its members’ struggles to A.S. Council. Due to a lack of institutional support, student parents face serious financial burdens and health risks. “The A.S. advisor brought to my attention that we need to have negotiations with Target [the university is considering bringing the vendor to campus in 2020] to ensure that [student parents’] needs are met. Then I started figuring out whether those supplies, like diapers and formula, exist in our current markets. So it’s really just conversations in developing what the agenda is or where the needs are. That’s one of my biggest unfinished projects, personally,” Gqajela recounted. As this year comes to a close, Gqajela wishes to see a continued commitment to direction from her successor, Caroline Siegel-Singh. In particular, she hopes Caroline will follow up with relationships between members of A.S. Council and different communities that were formed this year. For the UCSD community in general, Gqajela recommends that students familiarize themselves with their leaders in A.S. Council and their office space. “Go to the fourth floor [of Price Center]! Go to the cubicle space — someone is always there and they’re probably bored. That’s your student fees — you paid for that space, and no one’s [going to] tell you to leave,” she enthused. She also encourages students to get involved with A.S. Council by applying for the jobs listed on their website. It’s now a matter of weeks until Gqajela moves on from her position with A.S. Council and her undergraduate years at UCSD. In this period of transition, she is no doubt feeling the same uncertainty that all seniors encounter. But there’s one thing Gqajela is sure of. “I’m just dying to graduate,” she said with a sigh.